Marathon Pacers are well experienced runners whose task is to complete the race in the given time. At Indore Marathon, we will have pacers for 21K, who would help you to complete it in 2:00 and 2:30 hrs.These pacers will carry a flag of target time. The pacers are experienced runners, generally capable of running faster than the pace is assigned to them. Health is Wealth it is a motto which is followed by every runner who participates in Marathon at Indore. So do the Pacers of Indore Marathon, they not only focus on sporting competency but also aim to create awareness on most crucial issues that our nation faces. With the vows of making a fun event by displaying sporting expertise and challenges, the Pacers aim to sensitize masses about the social cause for which the marathon is being organized. Pacers group in Marathon promise to get to the finish line with the target through perfect race approach. Pacers are experienced with running numerous races in the targeted time. They know how to complete the distance of the run at sustained pace in the particular time limit. They flag the race that everyone can follow even at the far distance. With pacer support to Indore Marathon’s participants, will be on the right track for completing their race. It will motivate them to run again at faster pace, once they achieve a specific time. 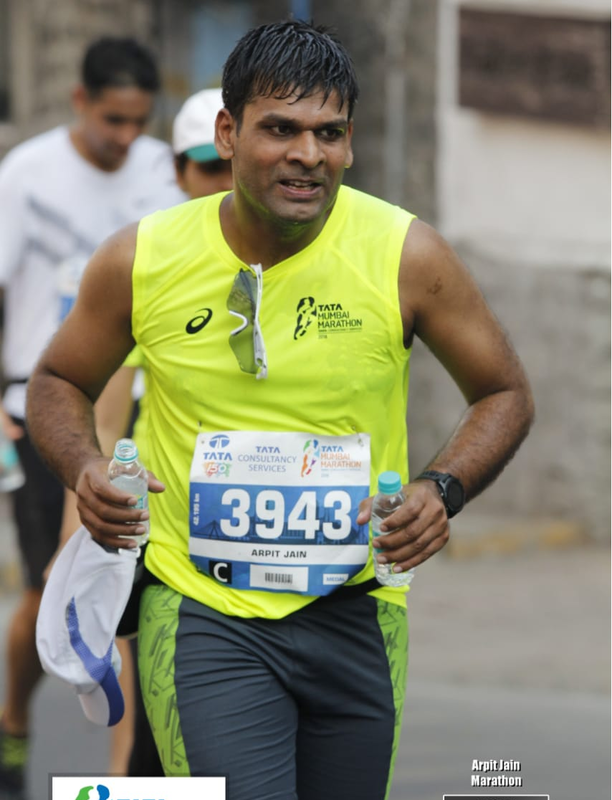 Ashutosh vyas 34 years old businessman in indore passionate about running marathons and paddling long distance cycling. He started his journey from 2016 indore marathon. In last 3 years, he has done several marathons and many cycling events. He ran many full marathons across various cities M, Hyderabad, Ladakh and many more. He has completed many half marathons like Indore,.Bhopal, Satara, Delhi, etc. Also done ultra marathon 50 kms in Matheran Maharashtra. One of his big achievement is COMRADES (South Africa) international ultra; toughest hill marathon of 90 kms in 11 hrs in june 2018. Ashutosh’s PB timing of half marathon is 1:44:58 recently in ADHM Delhi 2018. Other than running he is also passionate about cycling. He has double SR title i.e. completed 200 kms 300 kms 400 kms and 600 kms cycling event twice in a calendar year. Another big achievement for him is he rode ride 1000 kms cycling in 71 hrs. His pacing strategy 6.20/6.10/6.00/5.40/5.40/5.40/ then 5.30 per km for next 8 kms. Relax a bit 15-18 at 5.40 per km / 5.30/5.30/5.50 ( 1.1km) total time 1 hr 58 min 30 seconds. 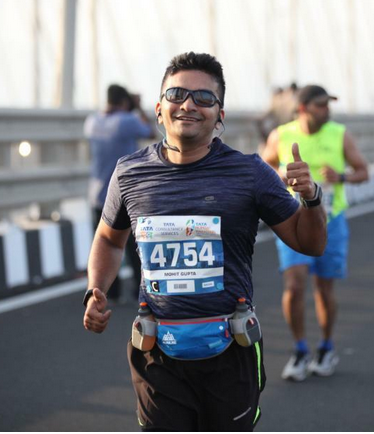 Avinash Kumar, 42, is a running enthusiast with 6 full marathons (PB: 4:12) and countless half marathons (PB: 1:49) under his shoe. 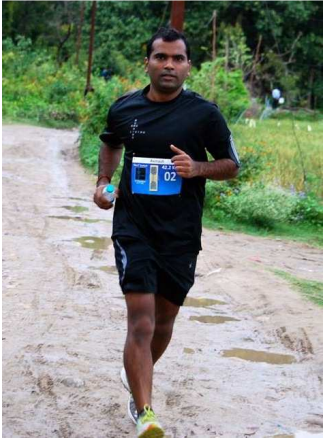 Running for him began in Oct 2013 on the insistence of couple of his friends at the IIM organized run with an 11k run. It was an eye opener for him and led to a resolve to improve running. Within 2 months of that run, he ran his first HM at Pune. Which was then followed by many half and full marathons across India (Mumbai 2015, 2016, 2017, Delhi, Jaipur, Ahmedabad, Goa, Hyderabad, Surat). 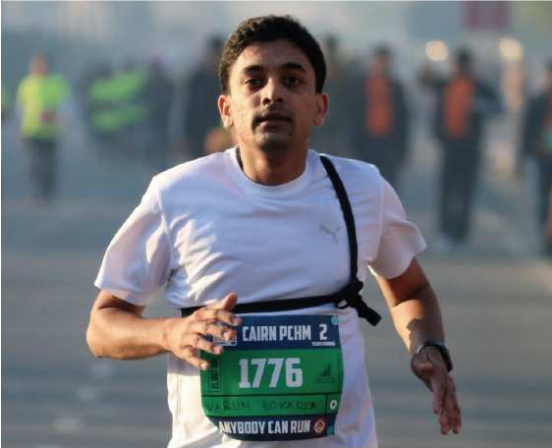 The mantra behind good running, as per Avinash, is LLM (Legs, Lungs and Mind). With strong legs, large lungs and a stubborn mind no distance is invincible for a runner. Just like the last 2 editions of Indore Marathon, this year again Avinash is going to pace for 2:00 Hr finish and bring the bus home in 1:59:30. In the past 2 editions, he thoroughly enjoyed helping fellow runners finish the run within 2 hours and be part of the sub-2 club. He plans to run with the same strategy as last year i.e. to run mildly positive splits, starting with the pace (mins/km) of 6:15, gradually bringing it down to 5:36 by the 15k mark and then taking it easy towards the end to finish with the pace of 5:40. Anybody who is capable of running 4k to 5k at a stretch at the pace of around 5:30 to 5:32 should join this bus. Distance wise splits would be 5k in 0:29, 10k in 0:56, 15k in 1:24, 20k in 1:53 and 21.1 in 1:59:30. There will be water/walk breaks of 20-25 secs every 4 kms. Varun Bokadia is a Mechanical Engineer and Entrepreneur who works to innovate and modernise fencing industry in India. He has a manufacturing unit where they make machine for making Welded Wire Mesh and various form of fences for variety of applications. Running gives, him an inspiration to get better and better in all aspects of life and it keep me active all day. He is a strong believer of keeping body and muscle hydrated throughout the week not only during the run. Consuming 4-5 litres of water at equal intervals per day (200ml every 40 mins) keeps body hydrated and eliminates the chances of cramps during the race. If you do so there is no requirement of hydration during the race. However, for some runners staying hydrated all week is not feasible so the best strategy is to keep some seedless Raisin (Kismish) or consume orange pieces which are available during the race. Hydration in form of oranges is best option because it does not reduce your speed (hassle free in comparison to any liquid) and gives required salts to the body. Mohit is enthusiastic and passionate runner for whom running is as important as breathing. Running helps him to remove stress and move one more step ahead towards the fitness goal. He is a regular runner for more than 3 years now and this has resulted in a complete physical and lifestyle change for me. Apart from running cycling is also his passion and have done BRM 200 and BRM 300. 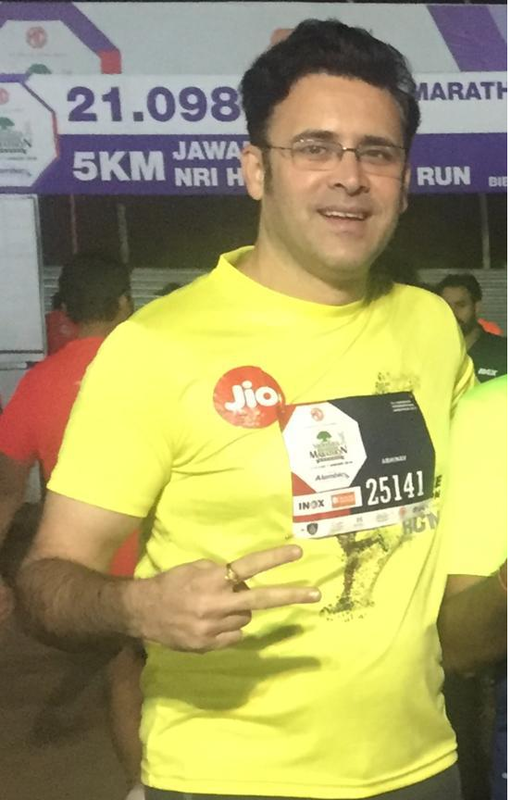 Taking into account his physical fitness, he decided to initiate running in mid-2015 and got himself enrolled for his first trail Half Marathon organized by AIM in Nov 2015. He improved as a runner over a period of time and since then achieved personal best (PB) in 2 ADHM where participated in last 2 years. 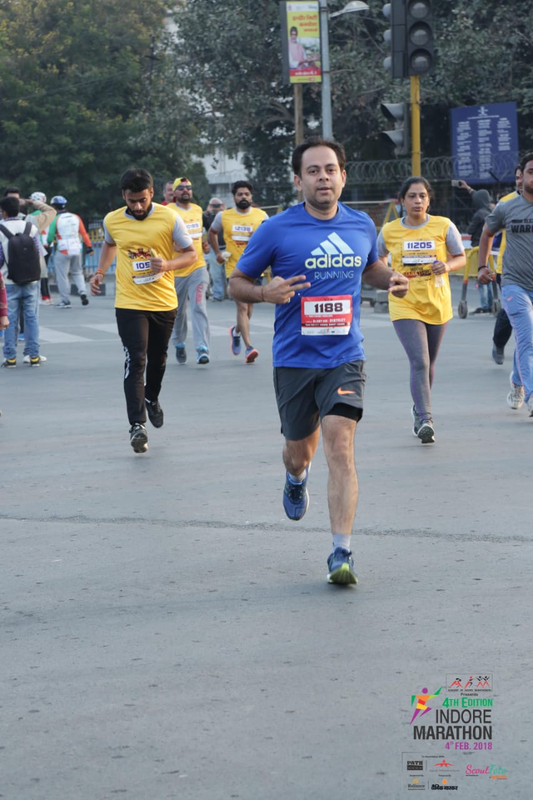 His last ADHM was in 2018 wherein he achieved his PB of 02 hours 3 min. He is self-motivated runner and practice on regular basis without compromising his professional commitment (Stock broker and Financial Advisor) and personal commitments towards his family. In this pacing endeavor, his prime focus will be to motivate all runners in the bus to finish on time. he still remember how the pacer helped him to first time achieve 2.15 hr time. By pacing this year I want to re-live this dream once again through the eyes of others. Once you start running become part of life, Once a runner always a runner. It’s my therapy and I am addicted to the way I feel after a great run. I am still running, I do it because it makes me biologically younger I can do easily wherever I may be my running shoes are always packed and ready to go. No matter how I feel before run I always feel better after ,if I am tired ,I feel energized ,if I am in bad mood I feel harmonious . In 2015, the journey started when I was not a runner, I completed my first half marathon in 2 hours 43 minutes that was my first run that too with no preparation. I have done three Indore HM, 3 run Bhopal run, 1 Satara HM, 1 Matheran 25 k, I have done my longest run of 71 K Indore supercharger 12 hour stadium run. I am a passionate runner my runs an my practice never compromises my routine duties or my family or profession ( working 365 days making miracles, as an embryologist) . Running is part of my life or I should rather say it is my life style. Fitness inspiration came from my own family that is my uncle and aunt (Dr. Dinesh Jain & Dr. Shefali Jain) he has been a tennis player since long time now, Both of them has been my idle for fitness. I have learnt a lot from them. They have also been my dedication towards running. I love to take challenges and my next aim is to improve my personal best. “Don’t stop when you are tired stop when you are done.” as a pacer believe in yourself & your runner is the key motivation in the pacing endeavor. The experience is overwhelming when your strategy show you success and encourage you as a pacer and give a positive way to your runner. I would love to see my runner leave that happiness of RUN ON TIME as mine. Ladakh Marathon 2017 21k ( ranked 57), Vadodara International Marathon 21k 2018 ( Ranked 9th) , Indore Marathon 2017 21k ( Ranked-14), Rainathon 2017 21k, Rainathon 2018, Indore marathon 2018 21k ( ranked 6th) , Airtel Delhi Marathon 2018 21k, Bhopal marathon 2018 21k- Podium finisher ranked 3rd.. 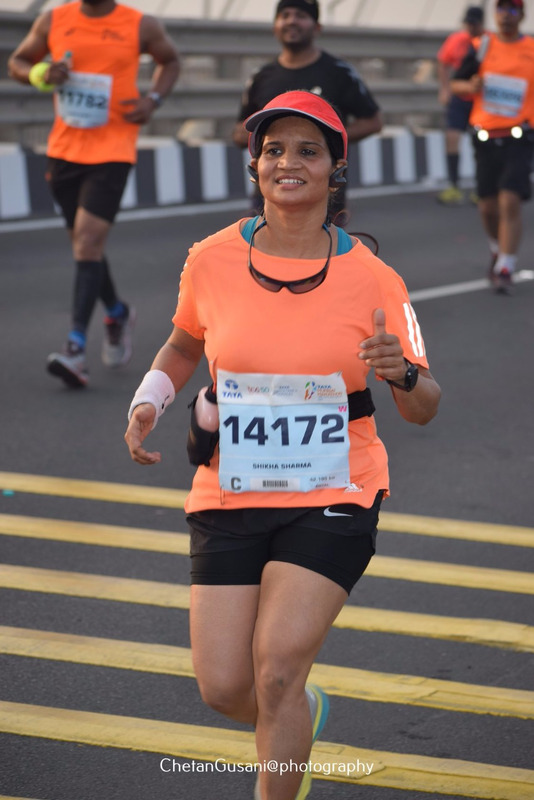 Personal best for Full Marathon – 5:31 in Tata Mumbai Marathon 2019.